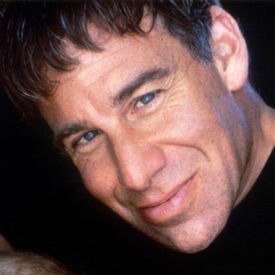 Stephen Schwartz is a phenomenally successful composer and lyricist who has worked across stage, film, and television. He was born in 1948 in New York City and studied piano and composition at the prestigious Juilliard School of Music while in high school. He then went on to study drama at Carnegie Mellon University, graduating in 1968. After beginning his career as a producer for RCA Records, he soon began to work on Broadway and his first success was composing the title song for the play, Butterflies Are Free (1969). Schwartz's breakthrough came in 1971 when he composed the music and wrote the lyrics for Godspell, for which he won two Grammy Awards. Over the next four years, he wrote the music and lyrics for Pippin (1972) and The Magic Show (1974). Schwartz's success on Broadway was cemented when Godspell, Pippin, and The Magic Show all ran at the same time for a period in 1974. Schwartz continued to compose and direct on and off Broadway during the course of the 1980s and, in 1995, he began to work in film. His first project was working with Alan Menken on the 1995 Disney film, Pocahontas, for which he won two Academy Awards and a Grammy Award. He also worked on The Hunchback of Notre Dame, The Prince of Egypt, and, more recently, Enchanted. In 2003, Schwartz achieved phenomenal success with the musical Wicked, which is still running on Broadway and London's West End. 2008 saw the musical reach its 1900th performance - a first for any songwriter on Broadway. Schwartz has also recently moved into opera, with Seance on a Wet Afternoon opening at Opera Santa Barbara in 2009 and subsequently produced by the New York City Opera. Schwartz has been inducted into both the Theatre Hall of Fame and the Songwriter's Hall of Fame. He also has a star on the Hollywood Walk of Fame and a book about his life, Defying Gravity, has been released by Applause Books.